You are currently viewing Archived reports for the week of 12 March-18 March 2014. Based on analyses of satellite imagery, the Buenos Aires VAAC reported that diffuse plumes from Ubinas, possibly containing ash, drifted WNW on 13 March and SW on 15 March. Satellite images on 16 March showed a diffuse gas plume containing some ash drifting WSW. 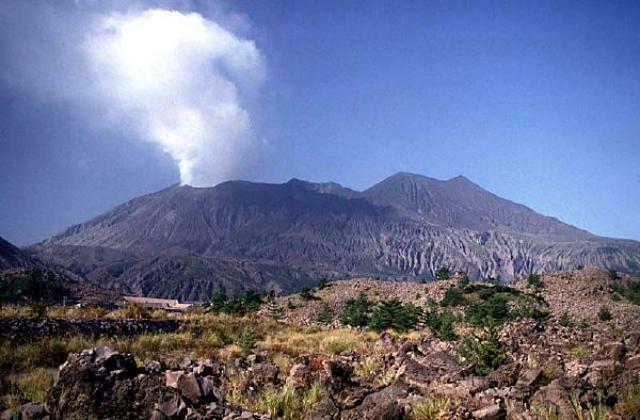 JMA reported that during 10-14 March two explosions from Showa Crater at Aira Caldera’s Sakurajima volcano ejected tephra as far as 1,300 m. Incandescence from the crater was detected at night. 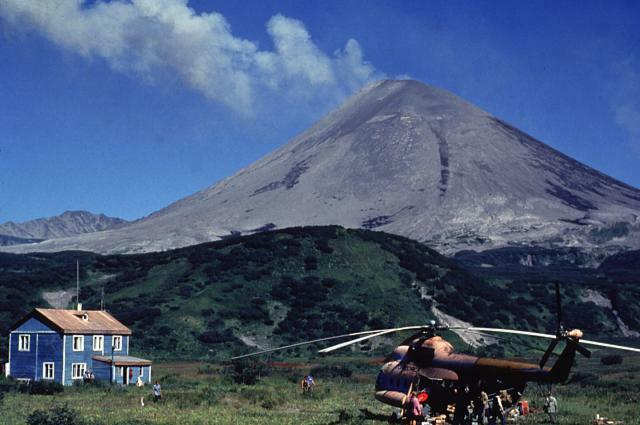 Volcanologists conducting a field survey on 10 March noted that sulfur dioxide emissions were 190 tons per day, lower than the 1,900 tons per day they measured on 4 March. The Alert Level remained at 3 (on a scale of 1-5). The Tokyo VAAC reported explosions during 12 and 15-17 March. On 12 March pilots observed ash plumes that rose to altitudes of 1.2-1.8 km (4,000-6,000 ft) a.s.l. 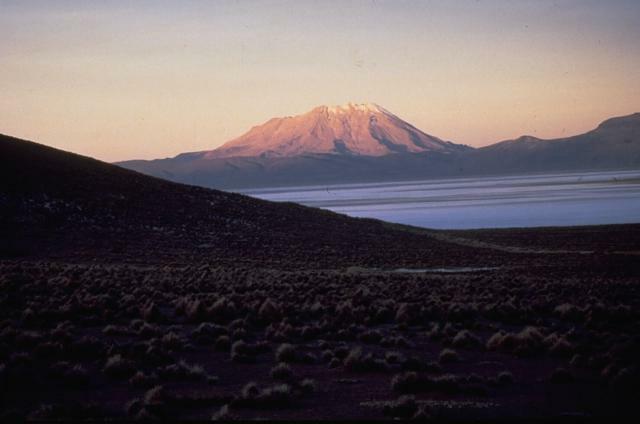 and drifted N. During 15-18 March plumes rose to altitudes of 1.8-2.7 km (6,000-9,000 ft) a.s.l. and drifted E, SE, and S. Pilots observed ash plumes drifting SE at an altitude of 3.4 km (11,000 ft) a.s.l. on 16 March, and drifting SE at an altitude of 3 km (10,000 ft) a.s.l. on 18 March. SVERT reported that a thermal anomaly over Chirinkotan was observed in satellite images on 10 and 13 March. Steam-and-gas emissions were observed on 10 March and drifted more than 40 km SW on 12 March. Cloud cover obscured views on the other days during 11-17 March. The Aviation Color Code remained at Yellow. Based on observations of satellite images, the Washington VAAC reported that on 12 March an ash plume from Colima drifted 25 km NNE and dissipated. Based on analyses of satellite imagery and wind data, the Darwin VAAC reported that on 14 March an ash plume from Dukono rose to an altitude of 2.1 km (7,000 ft) a.s.l. and drifted 90-160 km NW. During 16-17 March ash plumes drifted 130-150 km SW at an altitude of 2.4 km (8,000 ft) a.s.l. 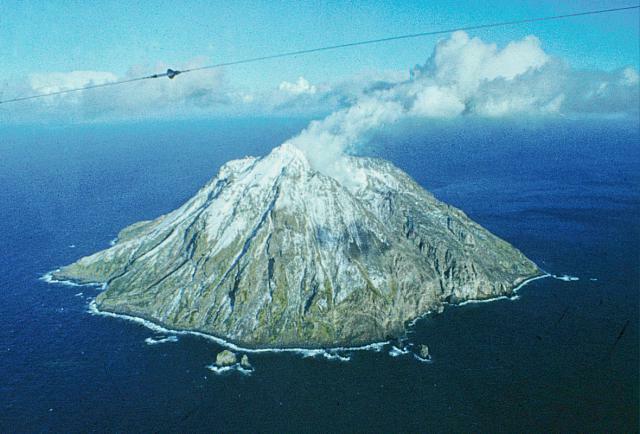 KVERT reported that Vulcanian and Strombolian activity at Karymsky continued during 7-14 March. 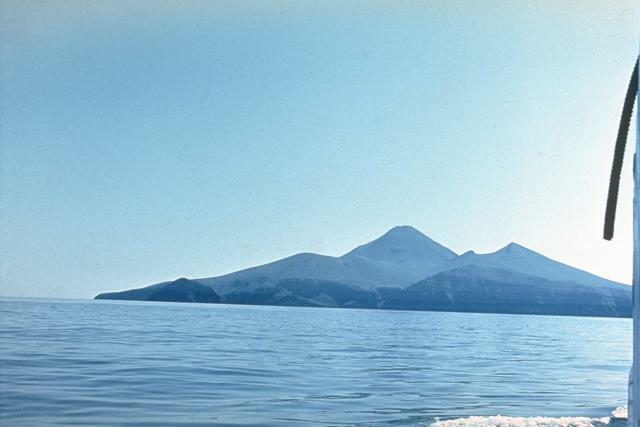 Satellite images detected a bright thermal anomaly on the volcano daily. Ash plumes rose to altitudes of 1.5-2 km (3,300-6,600 ft) a.s.l., and drifted 120 km SW on 12 March and 300 km SE on 13 March. Satellite images detected an ash plume that rose to altitudes of 1.5-2 km (3,300-6,600 ft) a.s.l. and drifted 100 km SE on 17 March. The Aviation Color Code remained at Orange. During 12-18 March HVO reported that the circulating lava lake occasionally rose and fell in the deep pit within Kilauea's Halema'uma'u Crater. Gas emissions remained elevated. The plume from the vent continued to deposit variable amounts of ash, spatter, and Pele's hair onto nearby areas. 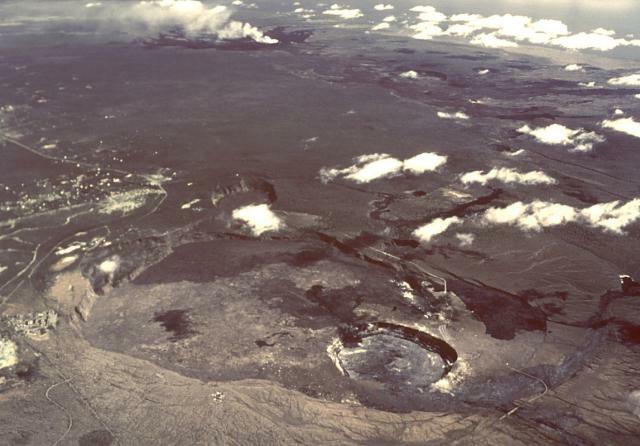 At Pu'u 'O'o Crater, glow emanated from spatter cones on the N and S portions of the crater floor, and from the lava pond in the NE spatter cone. On 12 March lava flowed S from the S cone. Once on 14 March and twice on 17 March lava from the pond rose and spilled over the rim. Breakouts from the stalled main lobe of the Kahauale’a 2 lava flow continued to advance and burned adjoining forest. A satellite image from 11 March showed that the edge of the most distant breakout flow was 8 km NE of Pu’u 'O'o. 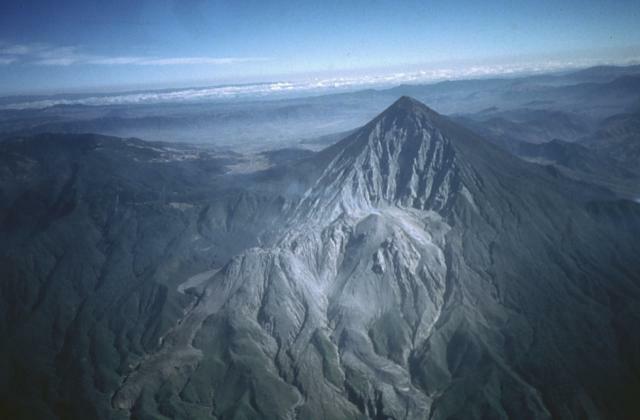 INSIVUMEH reported that during 13-14 March an explosion from Santa María's Santiaguito lava-dome complex generated an ash plume that rose 700 m and drifted SW, causing ashfall in areas within 3 km including La Florida and Monte Claro. During 15-18 March gas plumes rose as high as 150 m and small avalanches from lava flows descended the E and SE flanks. 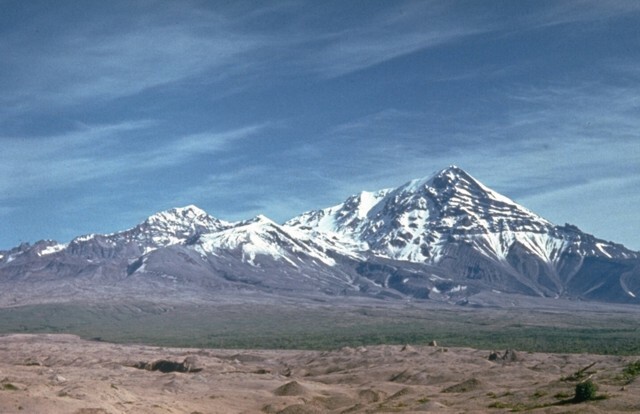 KVERT reported that during 7-14 March lava-dome extrusion at Shiveluch was accompanied by ash explosions, incandescence, hot avalanches, and fumarolic activity. A bright thermal anomaly was detected daily in satellite images. The Aviation Color Code remained at Orange. 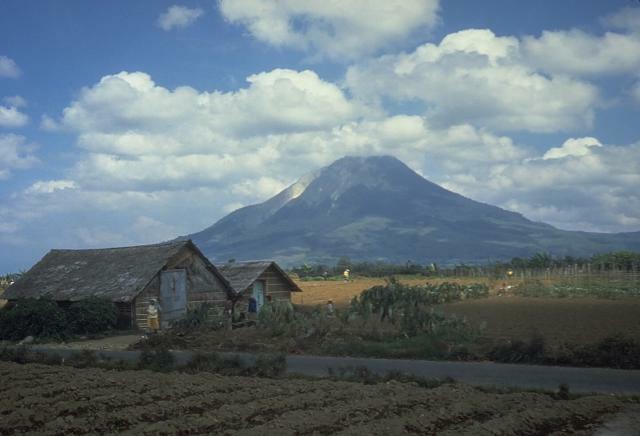 PVMBG described activity at Sinabung during 8-15 March based on observations from a post in the Ndokum Siroga village, 8.5 km away. 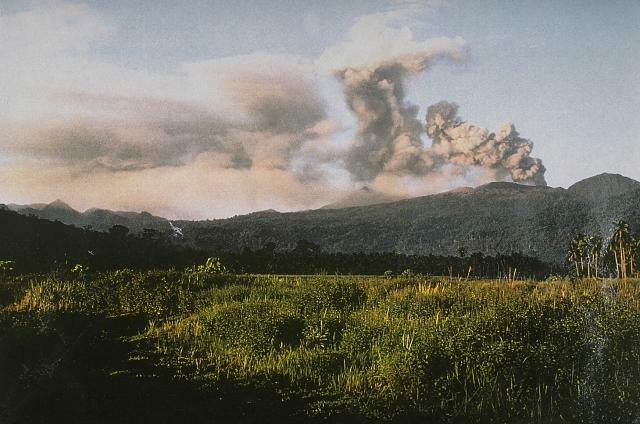 Dense white plumes rose from the lava dome daily, as high as 1 km on most days; plumes rose 2 km on 12 March. Incandescent material originating from various parts of the lava dome traveled up to 2 km S and SE. Tremor and volcanic earthquakes were detected, and signals representing avalanches from the unstable and still-growing dome increased. Sulfur dioxide emissions varied between 300 and 598 tons per day. Observations on 13 March showed that lava from the dome had flowed 2.4 km downslope. 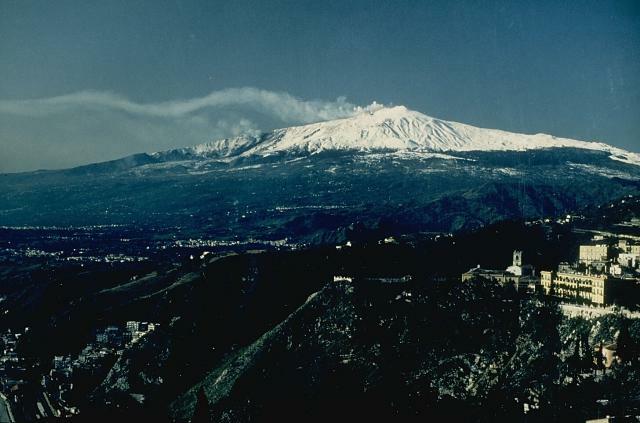 The report also noted that three people burned during a pyroclastic flow on 1 February later died in the hospital bringing the total number of casualties from that day to 17. The Alert Level remained at 4 (on a scale of 1-4). Visitors and tourists were prohibited from approaching the crater within a radius of 5 km. 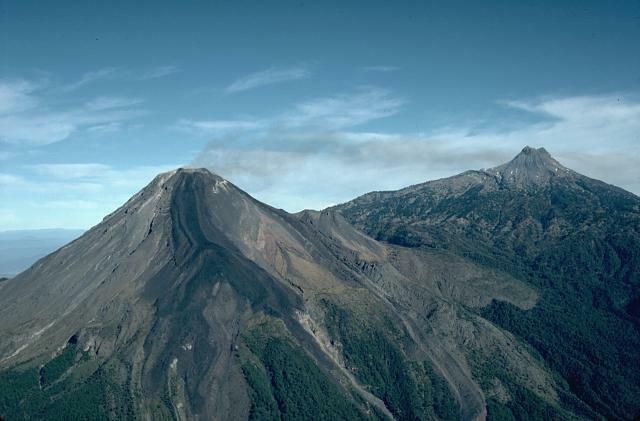 IG reported that activity at Tungurahua was at moderate levels during 11-16 March, but then declined during 17-18 March; cloud cover occasionally prevented observations. 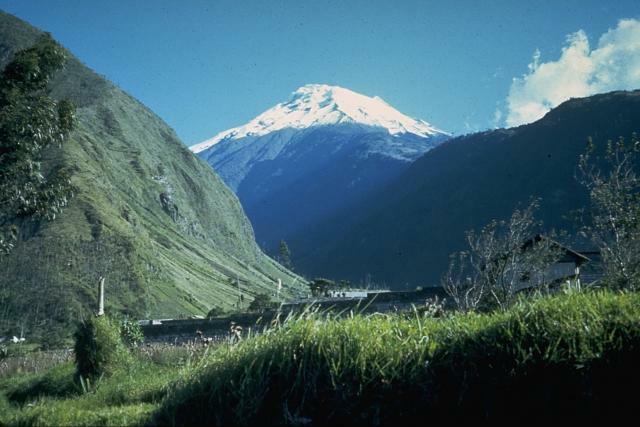 On 11 March rain caused major lahars in the Achupashal drainage which led to traffic disruption on the Baños- Penipe highway. Ash plumes on 12 March rose 1 km above the crater. On 14 March ash plumes rose 3 km and drifted W and SE. Sounds resembling blocks rolling down the flanks were reported by residents in Runtún (6 km NNE).